Posted On April 02, 2015 by Team iCynosure. Do you have a superstar at home? 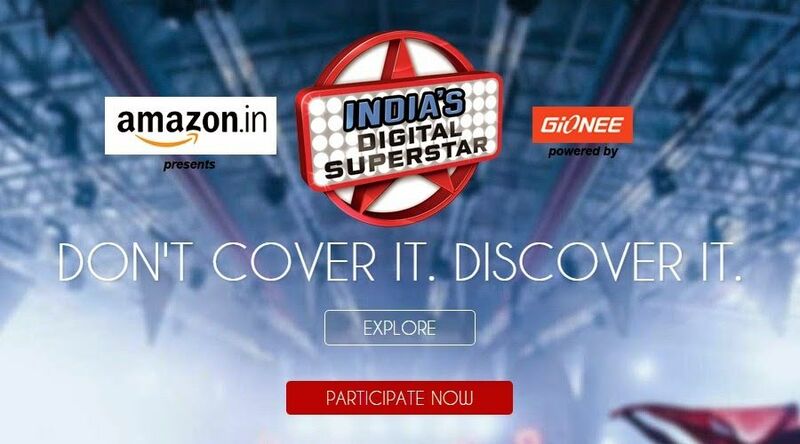 If you’re nodding your head in agreement head straight for the auditions of India’s Digital Superstar that offers a digital platform for budding artists to showcase their talents to have a chance to walk away with a contract worth INR 20 Lacs. FremantleMedia, one of the largest creators producers and distributors of television brands in the world with an outstanding network in 25 countries, launches the first-of-its-kind Digital Talent Hunt in association with Zenga TV and OneDigital Entertainment to find its first BIG DIGITAL STAR. After the amazing success of brands like Indian Idol and India’s Got Talent FermantleMedia has ventured into a 14 week epic journey in search of a Digital Superstar where Musicians, DJ’s, comedians, mimicry artists, dancers, contortionists, jugglers, singers, acro gymnasts and many more artists across all ages are welcomed to participate. Though the auditions have begun since January, they will remain open until May for all Indians across the world. The digital show will begin with amazing non-stop auditions, and culminated into non-stop opportunity, all day content and non-stop fun. For the first 13 weeks there will be regular auditions with the 14th week as the grand finale to be held in Mumbai. Participants are encouraged to shoot and upload multiple videos showcasing their talent that will be judges by the audience through the number of votes and likes that the videos generate via YouTube, ZengaTV and FaceBook. The decision highly rests on the broad shoulders of the views who would be judging to pick the next digital star. The initiative is supported by Amazon.in, powered by Gionee in association with RedFM to create more awareness about the digital show and bring in maximum participation. ZengaTV the largest mobile video streaming service and OneDigital Entertainment the largest YouTube MCN of India have put in their digital expertise to make the process more seamless for participation. With internet being an unrestricted medium and with auditions open until the very last week there is something to look forward to everyday. The crazy host Sahil Khattar is doing crazy stuff with some super-cool celebrities thrice a week to showcase their favorite videos. With an astounding number of videos of 1400 and counting and over a million plus views it’s getting bigger, better and competitive every week. I love the video where Sahil invades super talented queen of Radio Malishka’s office; where both discuss Malishka’s favorite videos. It was quite entertaining to see her picks… Vinay Sharma’s song dedicated to Katrina Kaif is out and out fun. His green cap and green trousers steal the show for sure and he is an entertainer! Yay for you boy, awesome. Chimpoo Singh another out and out fun guy sets out to show some wonderful things like flapping his ears, clapping with a single hand and some super multi-tasking activities. Other videos they discussed were that of Hitesh Rathod’s Main Kya Karoon dance from the movie Barfi and Sachin Mohite’s Indian Spiderman building climb. 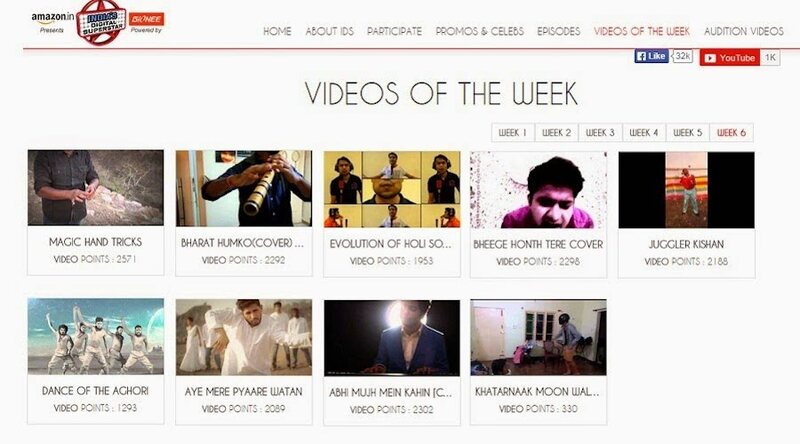 The other video that I really enjoyed was the Holi special video where the top five videos of the week were showcased. At the 5th spot was the Indian Spiderman Sachin Mohite, preceding him was Deep Isaac with his masterful acrobatic dance at 4th place and Feroz Khan’s soulful Tune Mera Dil at the 3rd place. The second spot was perfectly deserved to Inderjeet Singh for his masterful dance on the very peppy very girly number Radha Teri Chunri from Student of the Year and the top honors went to Navya Singh for the rendition of Ami Je Tomar from the movie Bhool Bhulaiyaa. Btw what was with the balloons Sahil? Have you checked some amazing, some entertaining, some downright hilarious videos? And if you think you have what it takes to be that Digital Star, participate today. Don't cover it, Discover it!